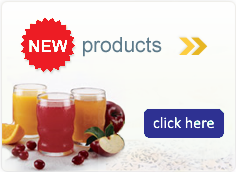 UtyMax® is a medical food. Use under supervision of a qualified medical specialist. 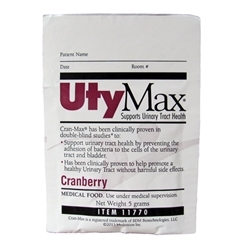 UtyMax® CranMax Drink Mix provides the nutrients for the dietary management and prevention of recurrent urinary tract infections. Lactose Free. Gluten Free. Sugar Free. Supplement. Can be used orally or through a feedign tube. Directions for Use: ORAL - Mix one packet with 120mL (4oz) of water or other suitable fluid. Stir and drink. Can be used once or twice a day. TUBE FEEDING - Mix one packet with 30mLs of water. Stir until completely dissolved. Infuse via syringe down feeding tube. Flush tube with 15-30mLs of water before and after administration. Do not mix with tube feeding.